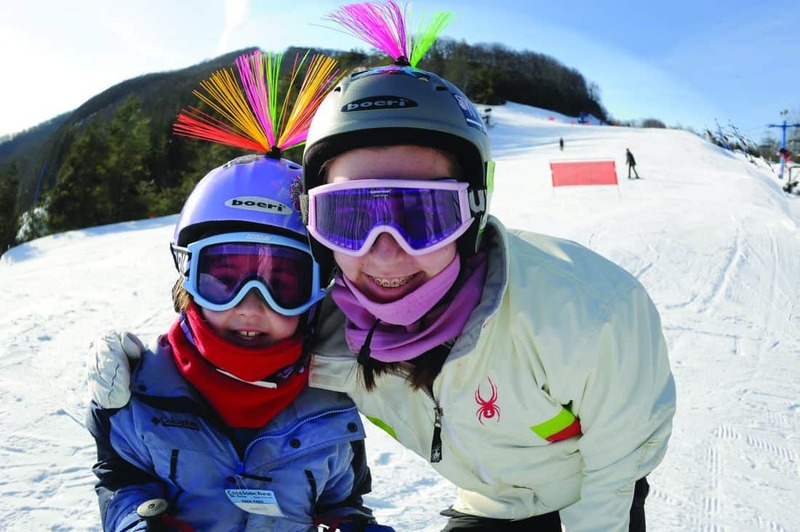 Bring the kids and have a blast with Cataloochee Ski Area’s Kids Stay & Ski Free program in Maggie Valley. A child 17 and under can stay overnight FREE at a participating Haywood County accommodation and ski free when accompanied by a paying adult. Paying adults simply stay overnight at one of the participating accommodations listed here. Stay will be on any non-holiday Sunday through Thursday evening and parents receive a dated voucher redeemable at the ski area ticket center for their child’s complimentary lift ticket for skiing or snowboarding any non-holiday Monday through Friday. Some restrictions apply. Kids Ski Free voucher is issued at participating property and redeemed at ski area. Voucher is for use the following day after one night’s stay and must be presented at time of purchase of adult lift ticket at ticket sales. Kids Ski Free lift tickets will be not be issued without voucher from accommodation, no exceptions. Must be 21 years old or older to qualify as a paying adult. Limit one free child per paying adult. Kids Ski Free vouchers are not good with any other discount or promotion and can not be used against payment for any child’s lesson, lift and rental package such as Cataloochee’s HEAD Kids Adventure Center or with the Drive, Slide and Stay package. The Kids Ski Free program is not valid on Saturday or Sunday and during the holiday time periods. Motel portion of program offered any non-holiday Sunday through Thursday. Skiing portion of program offered any non-holiday Monday through Friday. Children must be 17 or under to qualify to receive free lift tickets. Lessons and rental equipment are available at the regular rate.